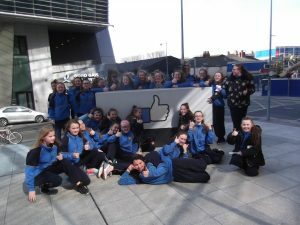 As in previous years, our 6th Class girls are involved in a Communication and Presentation Project with workers in Facebook. The project is organised in association with the Early Learning Initiative of the National College of Ireland. We are very appreciative of the opportunity to work with vibrant mentors from Facebook! !